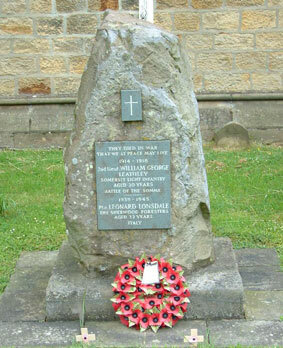 Our War Memorial was placed in St James’, Churchyard in August 1993 by the Royal British Legion, Grewelthorpe branch, thanks largely to the efforts of the then member Mr Fred Smith of Kirkby Malzeard. Two people from Grewelthorpe were killed in action during the two World Wars. Their details, war grave information and links to information about their service is detailed below. 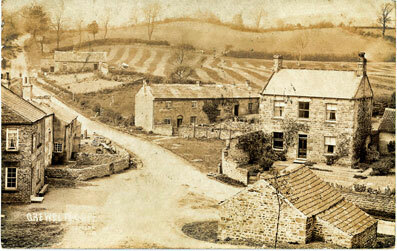 Son of the late William Leathley, of Grewelthorpe, Ripon, Yorks. The Thiepval Memorial is the Largest British (and Commonwealth) War memorial and contains the names of 73,357 men who have no known grave. The battle of the Somme started on the 1st July 1916 the opening phase was known as the Battle of Albert and took place between 1st & 13th July 1916. The preliminary bombardment, which was started on 24th June 1916, failed to destroy the barbed wire and German concrete bunkers. So when our soldiers left their trenches at 7.30am that morning they were hampered by the wire and the fact that the Germans held higher ground, despite this they took parts of the German front line. William George Leathley was one of almost 58,000 casualties on that day, 19,240 of them killed in action. This was, and still is, the worst day in the entire history of the British Army. The 8th Battalion of the Somerset Light Infantry was part of the 21st Division which was engaged close to the village of Fricourt. Fricourt was not taken until 2 July, Mametz fell on the first day. You can read more about the battle around Fricourt here. Men like William Leathley gave their lives so that the British Army could learn the most valuable and expensive lesson of military history. Ultimately this resulted in victory in the First World War and started the process which prepared our services for victory in the Second World War. One of the main objectives of the Battle of the Somme was to draw the Germans away from Verdun in order to provide some relief. The battle achieved this objective and was far more important than the gains in territory would indicate. Leonard was born and brought up in Wapping, Grewelthorpe. 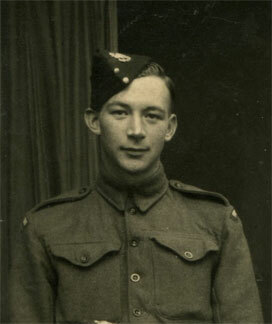 Leonard joined the Army and was a Private in the 5th Battalion of the Sherwood Foresters. His family don’t know how a young man from Yorkshire became a member of a regiment most often associated with Derbyshire and Nottinghamshire. The 5th Battalion had seen action in the defeat of Rommel in North Africa and were heavily involved in the invasion of the Italian mainland at Salerno (South of Naples) in September 1943. It is impossible to know what action Leonard took part in once the beachhead had been established and as the invasion force pushed North through Italy. We know that Italy was the main Battleground of the Second World War for the Sherwood Foresters and the 5th Battalion was one of the most battle scarred battalions of the Regiment serving with distinction at Salerno, Anzio and the Gothic Line as well as many other less well known battles. Source History of the Sherwood Foresters. This passage from the history of the The Queens Dragoon Guards tells a little of the action taking place around Celincordia in the days before Leonard was killed. Celincordia Action On 16 October Major Harman arranged for ‘A’ Squadron to support the Leicester in their advance on Celincordia, but they, while clearing a part of Monte Romano, had been driven back by a counter-attack. As Lieutenant Munro advanced in support, the Germans put an armour-piercing shot into the remains of Cassidy’s tank just twenty yards in front of him, and so the attack was put off until after dark. During the night the Leicesters cleared Monte Romano, Munro’s tanks helping with the last pockets of resistance. On the 17th ‘A’ Squadron gave supporting fire as the Leicesters pushed forward, ‘C’ Squadron helping the 5th Sherwood Foresters around Buratini. On the 18th ‘A’ Squadron leapfrogged forward troop by troop as the Leicester advanced, and Celincordia was captured by 4 p.m., Corporal Harvey playing a prominent part in the final assault. On the right ‘C’ Squadron helped the Foresters forward to Cesena, where the Germans still held out stubbornly in the outskirts of the town. Leonard was killed on 18th October 1944. The Roll of the Sherwood Foresters says “Killed in action when attacking point 181 near Celincordia Italy”. His family was told that he was in a Jeep with three comrades that was ambushed and all four were killed by machine gun fire. Just two days later, On the 20th October the 5th Foresters came out of action to S. Clemente, Source History of the Sherwood Foresters. Son of Tom and Edith Lonsdale, of Grewelthorpe, Yorkshire. Grave/Memorial Reference: II, F, 3. Note: We have decided to file this under History, no disrespect is intended by this decision.